Are you ready to have fun this Presidents’ Day Weekend? Looking to kick-start your February Break? Make your way to the Capital Region this weekend for ice skating, an ice bar, live shows, and much more. 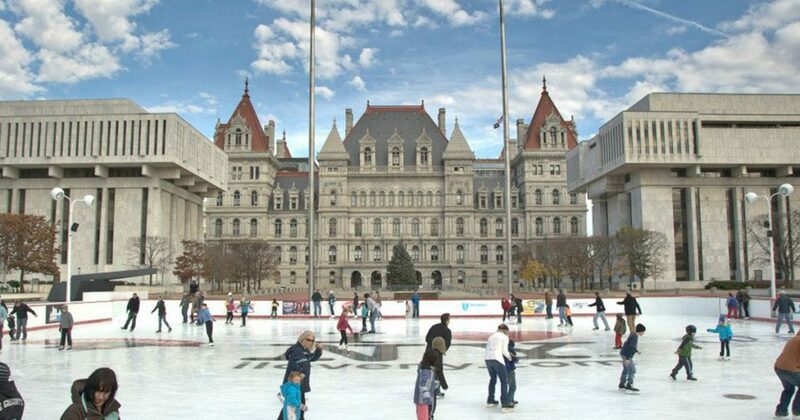 Enjoy free outdoor ice skating in downtown Albany at the Empire “Skate” Plaza! This ice skating rink is open daily throughout winter, and skating is free. Rentals are available whenever the rink is open for a small fee (free rentals on Saturdays only). Want to laugh out loud all night long? Buy your tickets to see Larry the Cable Guy & John Crist at The Palace Theatre in Albany on Saturday at 7:00pm. You can easily purchase your tickets online at Ticketmaster. 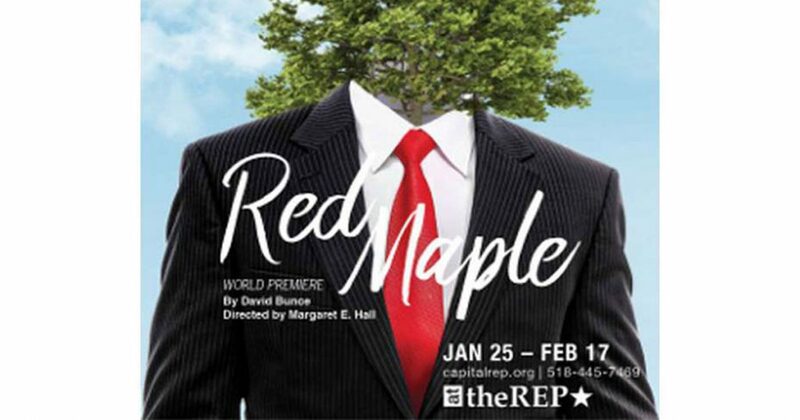 Don’t miss your chance to see Red Maple at the Capital Repertory Theatre! Red Maple is an uproarious comedy written by Capital Region veteran actor-writer David Bunce and set in the Albany suburbs. This will be the last weekend of performances for the theatrical production this February. This Sunday, the Siena Saints men’s basketball team will face off against the Quinnipiac Bobcasts at the Times Union Center. The doors will open at 1:00pm, and the game will begin at 2:00pm. 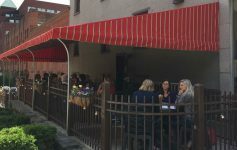 It’s the final weekend of the Fire & Ice Bar at The Mill on Round Lake! Head to Round Lake and order a drink at the ice bar, warm up by the fire pits, and enjoy some ice-themed games. 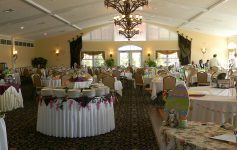 Join the National Society Daughters of the American Revolution at the Polish Community Center of Albany for their 48th Annual Antique Show on Saturday from 9:00am-4:00pm. This popular antique show will feature 40+vendors, and all proceeds will benefit veterans and their issues, student scholarships, and historic preservation projects. Looking for a way to keep the kids entertained over February Break? 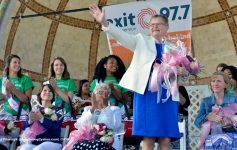 Bring them to the Children’s Museum of Science & Technology in Troy for a fun schedule of activities. The museum will host daily programs in celebration of National Engineers Week.